Andrew Kane took a Heroku blog post about getting insights in to your PostgreSQL database and ran with it, creating a nice dashboard you can mount in your Rails app as an engine. 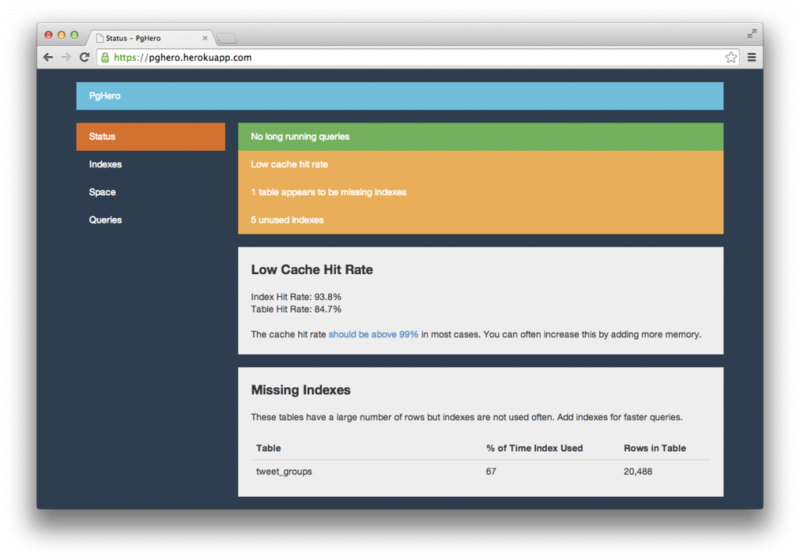 PgHero will show you long running queries, cache hit rate, and more. I installed it on one of my apps this morning and it worked well!